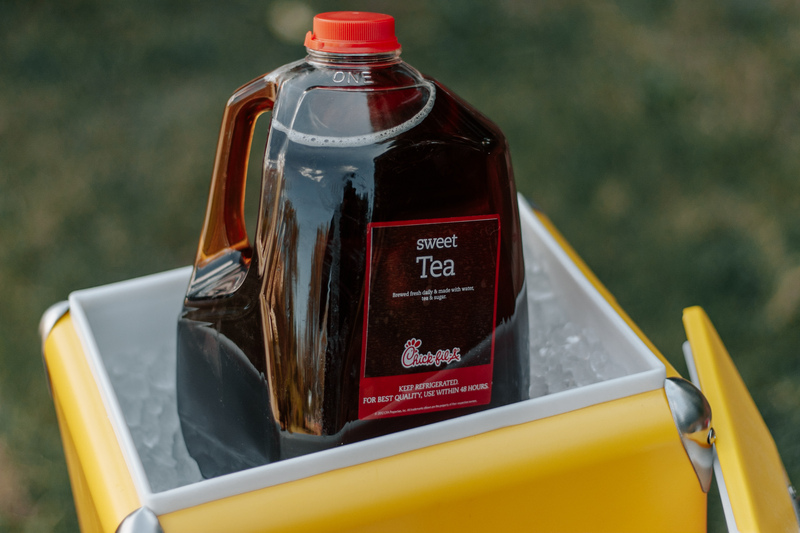 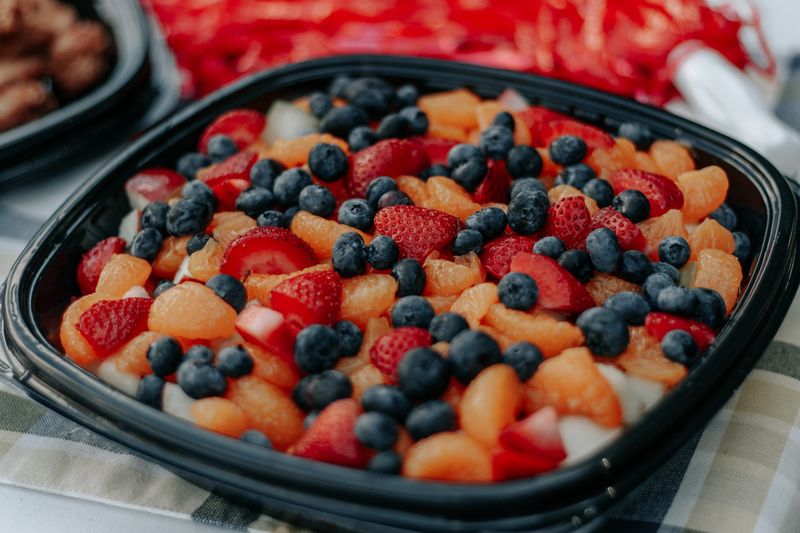 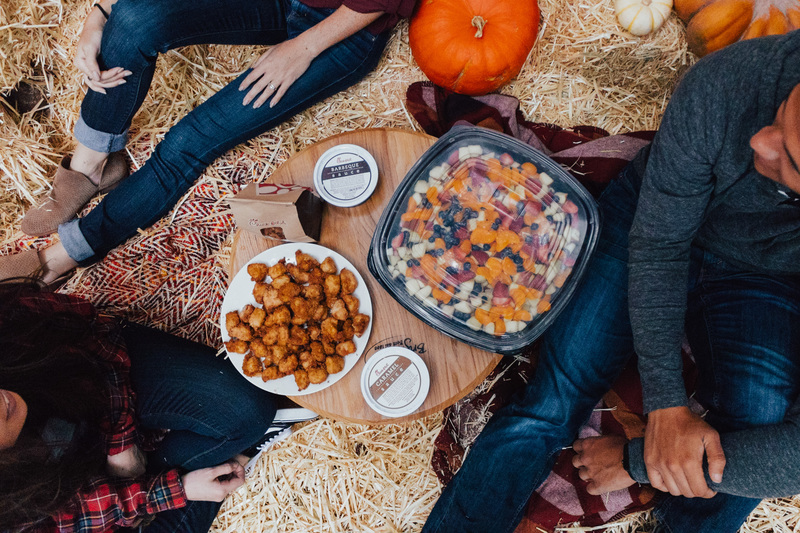 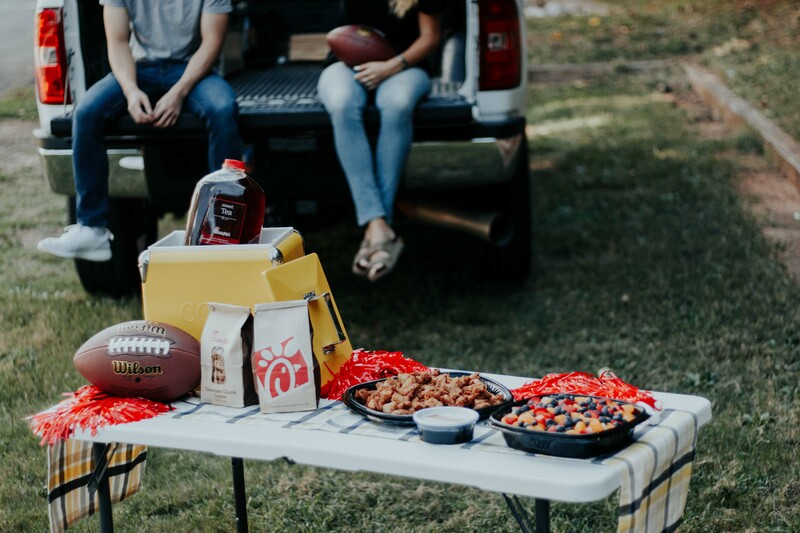 This campaign was meant to highlight Chick-fil-A's catering services, so I thought that a tailgate would be the perfect setting to show just how easy ordering and setting up a tailgate lunch could be with a nugget tray, fruit tray, cookies, and a gallon of sweet tea. 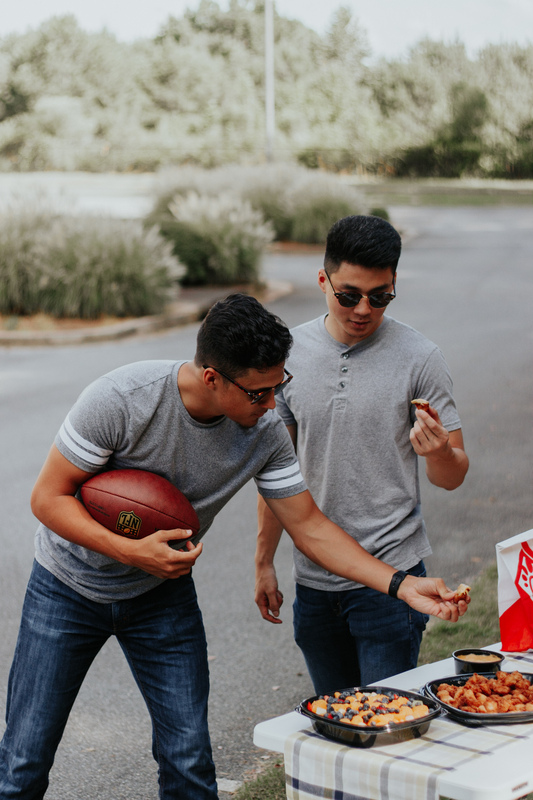 For this shoot, I wanted to focus on the products themselves, to leave room for the next shoot to focus on reactions to the products. 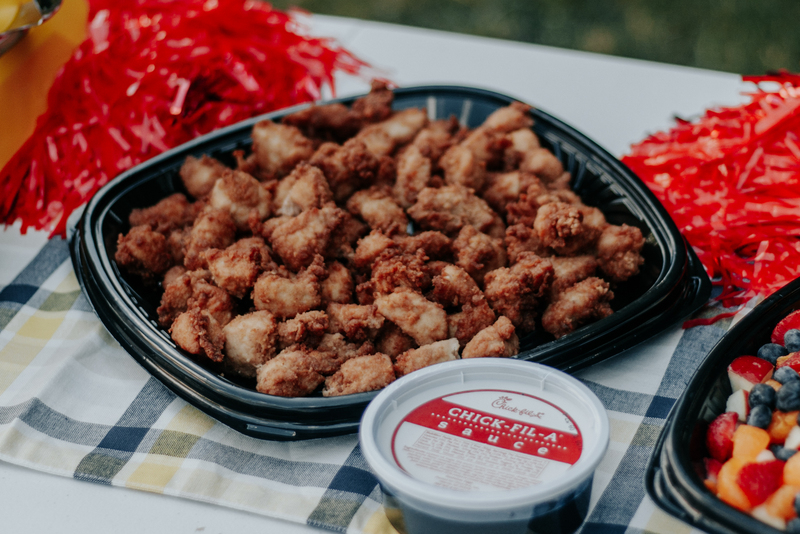 I knew for the tailgate shots that we wanted to make the colors pop, but wanted especially to emphasize the classic Chick-fil-A red and its complementary colors. 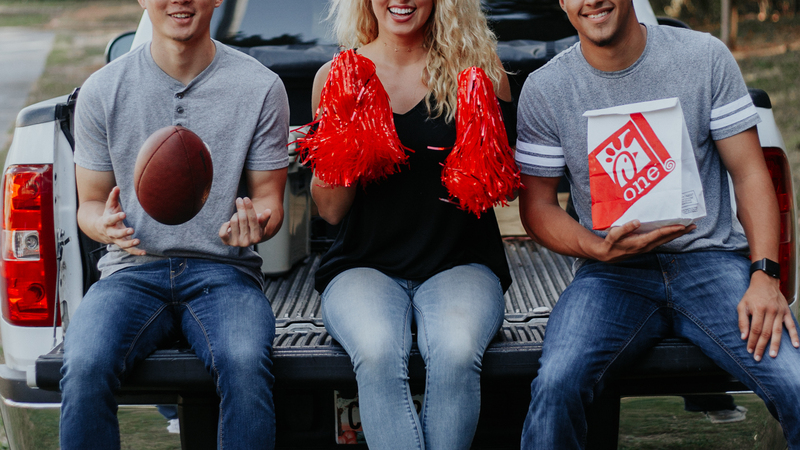 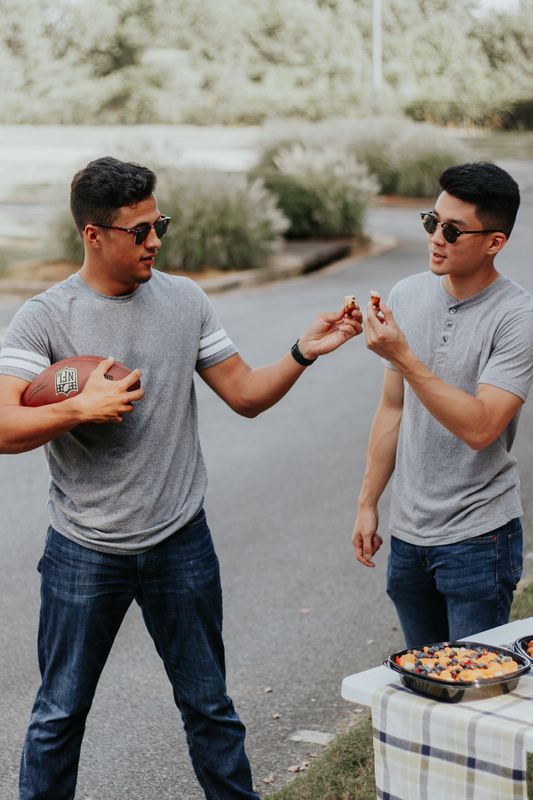 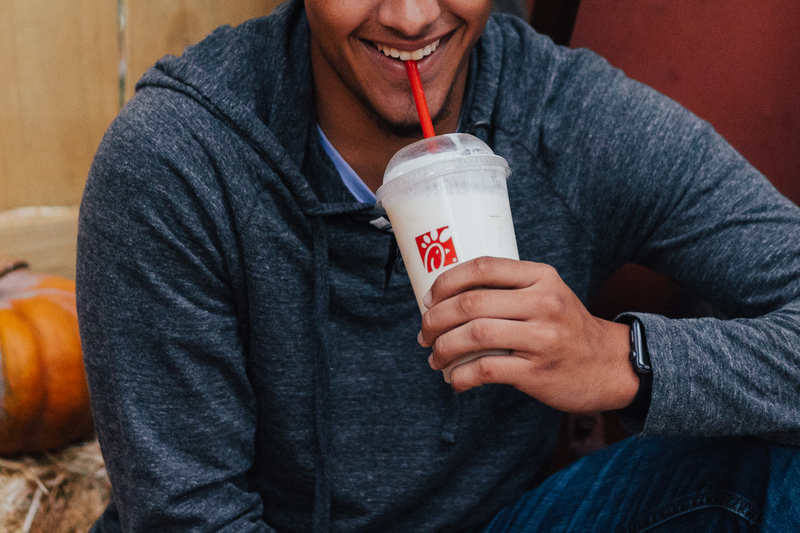 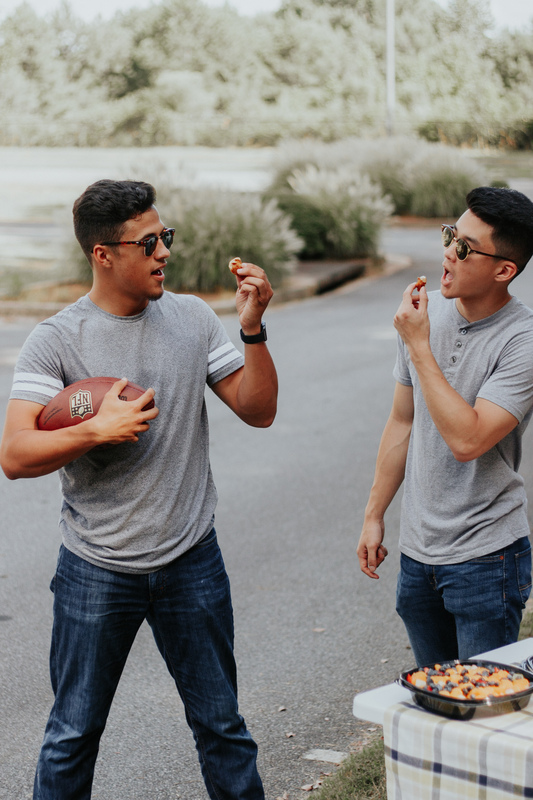 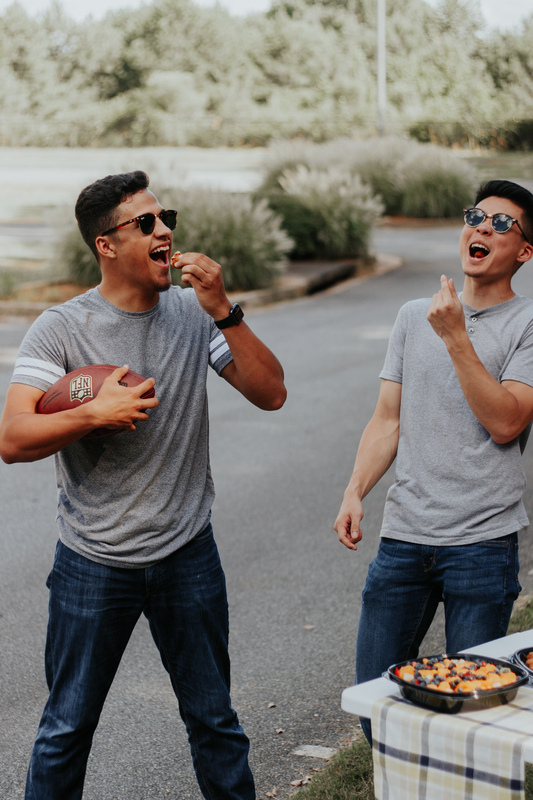 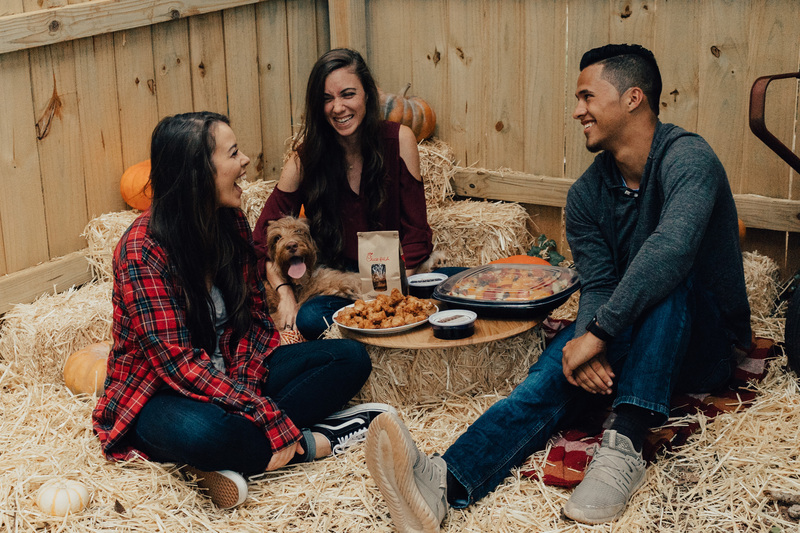 For this shoot, I wanted to focus on reactions to products, showing just how enjoyable it is to take Chick-fil-A meals out with you wherever you go this fall.